System 1 is what he calls ‘thinking fast’. It represents intuition, and engages us three seconds at a time. It tirelessly provides us with quick impressions, intentions, and feelings. It is also called the Experiencing Self. System 2 is ‘thinking slow’. It represents reason, self-control, and intelligence. It is also called the Remembering Self. But the Remembering Self only remembers a tiny fraction of what happened, although it thinks it remembers almost everything. The Remembering Self is also reluctant to put much effort into thinking and will only do so when it has to. For example, if I ask you to tell me the answer to 2+2 you would give me the answer easily. But if I asked you to tell me the answer to 271 x 37 you would resist – unless you could reach for your calculator. Watch Daniel Kahneman for more of an explanation. 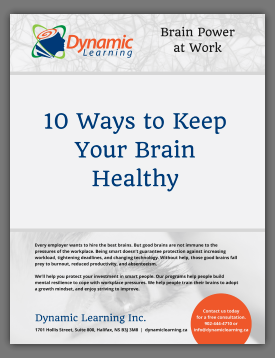 When System 2 thinking gets tired, the brain goes with System 1. So when you have an important decision to make, you will get a better result if you allow time for careful, step-by-step thinking, and don’t let yourself be swayed by your fears and hopes of the moment. Ask critical friends or colleagues for their honest input and sleep on the decision for at least one night. If you are a manager or a technical expert, you tend to be convinced very easily that you know best, that you have very good intuition about your particular field. But this depends on whether the domain you work in is inherently predictable and whether you have had sufficient experience to learn the regularities. In today’s fast changing world, those conditions are very difficult to maintain. To keep your expertise up-to-date, you need to be able to listen without pre-judgment to many different resources, especially front line employees and customers. This information about our Experiencing Self and Remembering Self ties in directly with the insights from my April newsletter on Willpower. The fact that our willpower can be easily depleted and then we are more subject to immediate temptations, sounds a lot like the collaboration/struggle between thinking fast and thinking slow. It also explains why it is so difficult sometimes to concentrate, as discussed in my December 2012 newsletter. Focusing our pre-frontal cortex on important tasks takes effort. When we do concentrate our attention, extra blood rich in oxygen and glucose flows to the relevant neurons, helping us concentrate even more. However, our cave-dweller past can upset our plans. We are hard-wired to switch our attention to bright lights or colours, loud noise or movement, or even a moment of fear. It’s one of our many survival mechanisms. In an office, it could be the ping of an email or a flashing light on your phone or a worrying thought. Once your attention has been distracted, it takes real effort to re-focus. To teach our brains to focus more predictably, we need to set up conditions which reduce distractions.